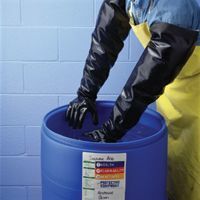 Designed for maximum comfort with ergonomically designed sleeves that contour to the arm and shoulder joint Grommet for securely attaching to sleeves, aprons or other PPE Cotton flannel lining translates into long wearing comfort Drum Handling Large Volume Chemical and Solvent Container Handling This item cannot be shipped to APO/FPO addresses. Medical-grade gloves are powder-free and designed for doctor's office and dental care. Latex-free gloves are ideal for employees with allergies. Ambidextrous gloves conveniently fit both hands. 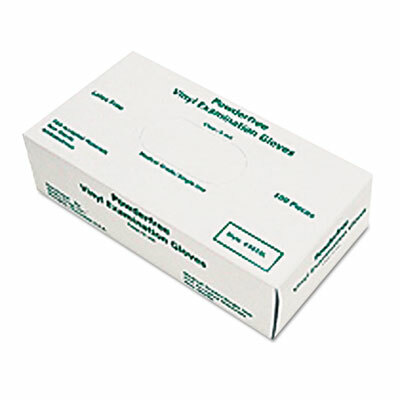 Disposable gloves help create a sanitary working environment. Ideal for use in light-duty cleanup tasks and food processing facilities. Style: Disposable; Wrist Style: Rolled; Material(s): Vinyl; Color(s): White.